Elisabeth Pongratz wanted to create a doll with universal appeal for children to play with and love. Never did she think that collectors would also be captivated by her dolls and want them, too. When you hold one in your hands, youâ€™ll instantly know whyâ€¦ you are enchanted, you fall in love. Their faces have a similar beauty, but each has a personality and allure of its own. They are what you want them to be... a best friend forever. Elisabeth crafts each of her dolls by hand at her workshop in Germany. 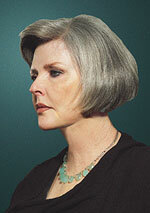 Due to the time-consuming nature of her work, only a precious few are produced each year. As your LARGEST Steiff authorized dealer in the USA, The Toy Shoppe is naturally your best shoppe for Steiff Club memberships, renewals and special editions like, the elegant 2019 Steiff Annual Club Bear, the 2019 Steiff Event Bear, the amazing Noah's Ark Set and also the three Loyalty Bears for Steiff Club members who have been members for 10, 20 or even 25 years! You'll receive this wood Club Chair free when you order your membership or renewal at The Toy Shoppe! It's the perfect size for your 4 inch Club Bear. From the cutting of the fabric to the stitching of the nose, every single Charlie Bear and friend is handmade with the greatest attention to detail. Yet, even with all the handwork involved to produce them, Charlie Bears are affordable and within reach of every Teddy bear lover. that’s why Charlie Bears are so popular worldwide! As the biggest stockist in the USA, The Toy Shoppe is your best shoppe for Charlie Bears. Our selection is enormous and includes traditional Teddy bears, Charlie Year Bears, MiniMos, Isabelle Masterpiece editions, special limited edition sets and much more. Many are in stock and ready to ship home for Christmas! Merrythought has been hand-making the quintessential English Teddy bear in the World Heritage Site of Ironbridge, Shropshire, since 1930 and is now the last remaining British Teddy bear manufacturer! Pictured right is Edward, a beautiful replica of the Teddy bear who famously inspired AA Milne's Winnie The Pooh stories. He is the ultimate bear for devoted Winnie The Pooh fans. With the new Disney movie Christopher Robin releasing the first week in August, it is good to remember the true beginnings of this beloved children's classic. Merrythought is a fourth generation family business founded by Mr W.G Holmes in 1930 in Yorkshire, England. Over the years a huge range of Teddy bears, soft toys, dolls, push-along toys, rocking horses and other animals have been created in the famous factory. Introduction to the film, The Kid, by Charlie Chaplin. The Kid is a 1921 American silent comedy-drama film written by, produced by, directed by, and starring Charlie Chaplin, and features child actor Jackie Coogan as his adopted son and sidekick. The film was a huge success! Innovative in its combination of comedic and dramatic elements, The Kid is widely considered one of the greatest films of the silent era. With the film's success, young Jackie Coogan became the first major child star of the movies. He was also one of the first stars to be heavily merchandised including stationery, whistles, dolls, records, figurines and even peanut butter! Jackie began performing as an infant in both vaudeville and film. His career lasted well into the mid 1970s, producing an impressive legacy of work in film, radio and television that continues to stand the test of time. John and Susan continue their RJW Hollywood Legends series with their new Jackie Coogan felt doll. In this stunning limited edition, they capture the essential charm that made Jackie widely popular in The Kid. It all began in 1972 at Annette Petersen’s old-fashioned kitchen on her farm in Concord, Massachusetts. Over 45 years later, Wee Forest Folk® remains a small family business producing their delightful line of miniatures, most of which are mice! Each begins as an original clay piece sculpted by either Annette, her son Willy, her daughter Donna or her granddaughter Bonnie. The finished sculpture is then molded and hand cast at the “mouse factory” in Carlisle. Carefully selected artists flawlessly paint each one by hand bringing to life a sweet little mouse personality. Wee Forest Folk are petite treasures, proudly handcrafted in the USA. by hand from head to tail! authorized Wee Forest Folk retailer. 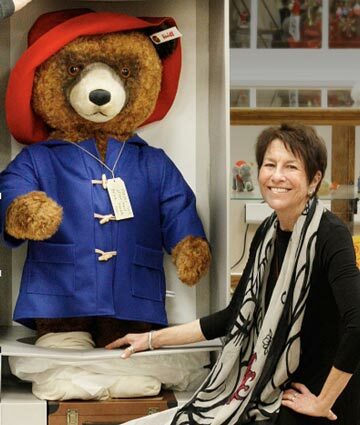 Paddington first appeared on October 13, 1958 in the children's book A Bear Called Paddington and has been featured in more than twenty books written by British author Michael Bond and illustrated by Peggy Fortnum and other artists. Steiff is celebrating the 60th Anniversary of this friendly bear from Peru - with his old hat, battered suitcase, duffle coat and an enthusiastic zeal for marmalade - with several exciting editions as only Steiff can do! Paddington is always polite â€“ addressing people as "Mr", "Mrs" and "Miss", rarely by first names â€“ and kindhearted, though he inflicts hard stares on those who incur his disapproval. He has an endless capacity for innocently getting into trouble, but he is known to "try so hard to get things right." No purchase or payment of any kind is necessary to enter or win giveaways. One winner will be chosen randomly from our current email subscriber list per giveaway period. Winner will be notified within three days after the drawing. Winner must respond within 7 days days of notification or forfeit the prize, in which case an alternate winner will be selected. Winner may not substitute the prize for any other prize or for cash. Acceptance of prize constitutes permission to use winner's name and prize information. Giveaways are open to subscribers with shipping addresses within the contiguous US, unless otherwise stated. International subscribers are also eligible to win our Toy Shoppe giveaways, but some restrictions may apply. International recipients will be contacted with details upon winning. All federal, state and local taxes associated with the receipt of any prize are the sole responsibility of the winner. Offer subject to change. This promotion is in no way sponsored, endorsed or administered by, or associated with, Facebook. 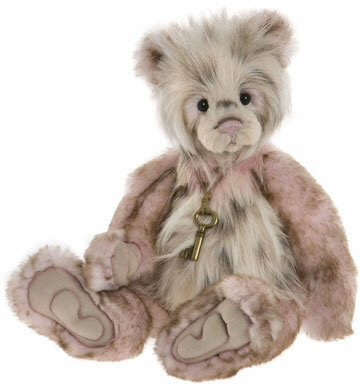 Started in 2005, the craftsmanship behind Charlie Bears is clearly evident, but the most captivating aspect of each bear is its warm, engaging face. It's easy to see the hours spent on each one, getting the expression just right. When you hold a Charlie Bear, you won't ever want to let go! John and his wife, Susan, are unequalled at bringing our favorite storybook characters to life in fine felt and other natural materials. At their workshop located in Bennington, Vermont, they craft their fine toys by hand meticulously remaining faithful to the original illustrations of classic children stories. After 3 decades of dollmaking, Annette is still considered the most innovative and influential modern doll artist in the world. She revolutionized doll design in the mid1980s with her Barefoot Children collection. The Toy Shoppe is your premier shoppe for Annette's dolls including her Artist's Proofs and a unique selection of dolls from her personal collection. Founded by Margarete Steiff in 1880, this legendary German toy company created the first modern Teddy bear! Steiff is the second oldest toy company still in existence today and continues to produce excellent toys by hand in the small town of Giengen, Germany. The Steiff company motto is "Only the best is good enough for children". These fine dolls, Teddy bears and other creations have been made especially for our Toy Shoppe collectors! We work very closely with our favorite artists and companies to create distinct editions that are endearing as well as having significance value to the collector. We are proud to offer these exceptional exclusives. Started in 1972 by Annette Petersen in her kitchen on a farm in Concord, Massachusetts, this small family business delights in producing amazing miniatures (mostly mice). Wee Forest Folk sculptures are 1 to 2.5 inches in height. Each little treasure is crafted by hand entirely in Carlisle, Massachusetts. Inspired by famous dolls of the past such as Bru and Jumeau, this English husband and wife team started out restoring antique dolls and eventually began creating their own wood and porcelain dolls by hand. Michael's limewood bodies are fully articulated. Lynne hand paints each face with her subtle and lovely artistic touch. Internationally acclaimed for her artistry, German artist Hildegard Gunzel combines sculpting perfection and exquisite apparel, assembled from the finest fabrics, laces and trims. Each radiates a rare beauty that could only come from gifted genius. Hildegard is truly one of the leading doll artists in the modern age. 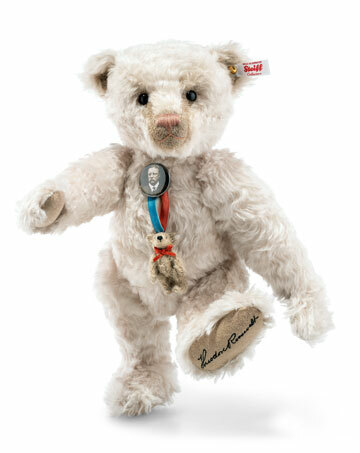 Hermann Teddy bears are true classics both in design and the way they touch your heart! In 1913, the company opened its doors in Sonneberg, Germany. Today, the 3rd generation of the Hermann family runs the business continuing a tradition of quality with each of their handcrafted Teddy bears. Kimberly Lasher's ball-jointed dolls (BJDs) quietly steal their way into your heart. She has a special artistic touch with BJDs. Created in small, limited editions with custom-made clothing, each is painted by hand and assembled in Kimberly's studio in the USA. Her BJDs are intricately designed, very expressive and will stand out in any collection. Annette is a truly innovative artist from Germany who makes bears and animals. Inspired by nature, she brings a unique vision and extraordinary design talent to her handmade creations. Annette's limited editions are very small and often sell out quickly. Once a Rauch bear is in your hands, you simply must play with it! Celebrating over 85 years of dolls, Madame Alexander is an American tradition that spans generations. Their beloved 8" Wendy dolls are splendid and the 21" Cissy dolls are the embodiment of fashion. From the founder, Madame Beatrice Alexander, "What a doll does for a little girl is to develop her capacity to love others and herself." Using the finest Canadian maple wood, Marlene Xenis handcrafts dolls at her Canadian studio that bring our favorite children's stories to life. The sculpting is captivating and the finishing is phenomenal. One of the world's most talented wood doll makers, a Xenis creation will be a treasured part of any collection. Elisabeth hails from a culture where children weren't showered with new dolls every year: they had one doll - one precious friend - to play with throughout their childhood and beyond. 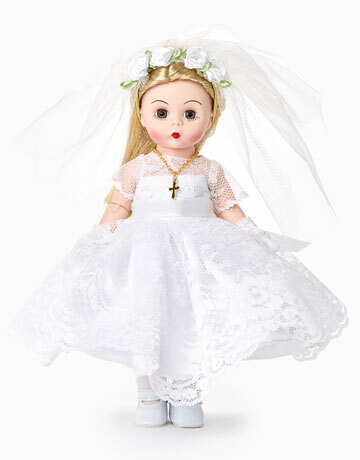 Pongratz dolls are meant to be held, played with and cherished for a lifetime - they truly stand the test of time. 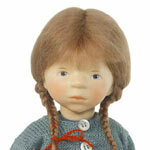 The recipient of many prestigious awards over her three decades, Helen's dolls are exhibited worldwide and highly sought-after by collectors. Her dolls possess the very distinctive characteristics of her artistry: extensive hand work and detailing plus softly sculpted expressions. 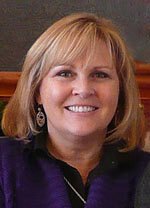 With three decades of dedication to doll making, Maggie raises the bar of excellence for the doll industry year after year and, in 2012, she awarded the Lifetime Achievement Award. She and her husband, Tony, bring a charm to their handmade felt dolls that is both elegant and very appealing. Since 1990, Lucia Friedericy and her mother Judith have been creating amazing wax-over-porcelain dolls that have been showcased throughout the United States and Europe. Their one-of-a-kind, handmade dolls and fairies are cherished by collectors worldwide and are sure to be the centerpiece of any collection. Rosalie has been creating charming animals under the Mill Creek Creations label since 1983 with her husband, Tom. From the comfort of their home studio in the beautiful countryside of Wisconsin, Rosalie delights collectors with her work, reminding them of a favorite pet or fond childhood memory. This young, innovative artist from Russia creates her quirky, one-of-a-kind characters by hand. She prefers fine natural materials such as German mohair, viscose, velvet and plush. Often Sasha uses wood wool and cotton for stuffing, while mineral granules/glass beads add a nicely weighted feel. After creating a rag doll for her daughter, Stevi T began a creative career while nurturing her three young children at home! 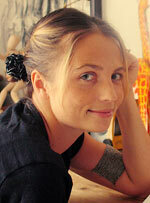 Spirited and striving to be different, she launched her own line of one-of-a-kind, soft sculpture characters. Each is needle-felted using Alpaca fiber and are gently posable with wire armatures. from your friends at The Toy Shoppe.